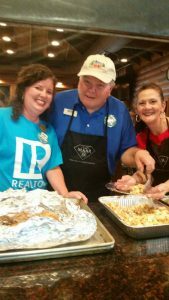 The Mobile Area Association of REALTORS® (MAAR) gave back to the community at Camp Rap-A-Hope. 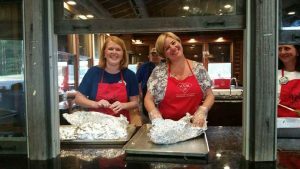 Our Community Relations Committee served dinner to over 250 campers and counselors of Camp Rap-A-Hope on Monday evening, June 5th. 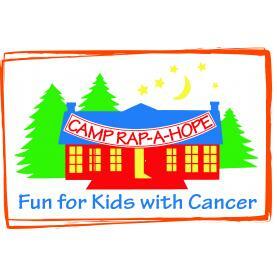 CAMP RAP-A-Hope is an organization that provides year-long programming, as well as, a week-long summer camp for children between the ages of 7 and 17 who have, or have ever had, cancer. Most of their campers come from communities along more than 300 miles of the central Gulf Coast; from the Florida panhandle to the Louisiana-Texas border. 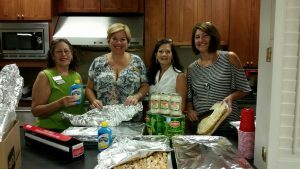 Each year MAAR volunteer’s to provide a meal as a small way to enrich the lives of the campers who are battling cancer. This year we shared the love by serving a hot meal of delicious Chicken Alfredo.